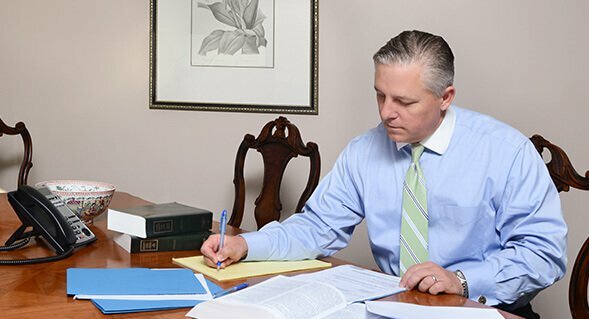 Meet Michael | Law Office of Michael A. France, P.A. Michael A. France received his B.B.A. in both Finance and Accounting in 1995 from Loyola University in New Orleans. He subsequently graduated in the top ten percent of his class from the Loyola University School of Law in 1999, where he received dual degrees in both civil and common law. During law school, Mr. France was a published member of the Loyola Law Review, a co-founder of Loyola's Maritime Law Journal and an active volunteer in the Volunteer Tax Assistance Program. After graduation, Mr. France practiced as a commercial and maritime litigator with Sher Garner, a premier law firm in New Orleans where he handled admiralty issues such as application of the Jones Act and insurance claims involving the development and construction of offshore oil rigs. Upon moving to Sarasota, Mr. France practiced and was made partner at the civil trial firm of Matthews Eastmoore before deciding to open his own practice in 2008. Since opening his office, Mr. France has dedicated his practice solely on commercial trial and appellate work. This not only includes contractual disputes, but also construction, landlord/tenant, real property, professional liability, foreclosure, lender bad faith suits and insurance coverage claims. Michael and his family enjoy cooking together, boating and fishing. I love knowing that if I have a legal question Michael is only a phone call away. He’s worth his weight in gold! Advising Member of Manatee Community College's Paralegal/Legal Assisting Program. Guest speaker on issues involving insurance claims, and anti-lender litigation. The Battle Over Late Fees. Will Late Paying Customers in Louisiana Be Able To Rise-Up Against The Businesses Who They Are Delinquent In Paying? Loyola Law Review, 45 Loy. L. Rev. 171.